There are many ways to catch fish, and with experience there are more techniques to deploy and get that fish to eat. 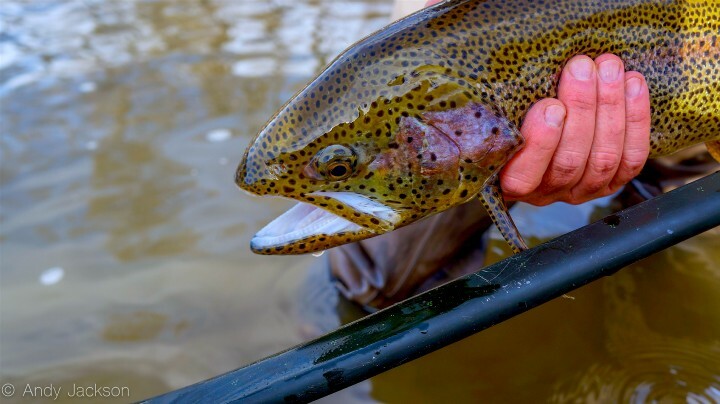 When new to fly fishing we typically are taught to use one fly because it’s easier. But as we progress with our skill level we want to use more advanced techniques. Throw in the second fly. To get started fishing with two flies all you will need is a couple of spools of tippet. I like to use a tippet strength one less than the leader strength for my second fly. This helps if you get snagged and have to break off, the hope is that you only lose the dropper fly (bottom fly). The tippet length can be determined by the type of water you are fishing and the depth. I like to use 20+ inches in general but will go down to 12 inches when fishing flies in the 20 – 24 range. Fly choice and technique is up to you but be sure to check in with your local fly shop to get the latest information. Now, let’s take a look at some of the ways to rig the two flies set up. Also known as: dry-dropper rig, attractor and trailer, double dries, double nymphs, hopper-dropper, etc. This is the most common and I believe the cleanest way to tie on your two flies. First set up your rig as if you are fishing with just one fly (point fly.) Then choose the desired tippet strength and length. Now attach the tippet to the bend of the hook on your point fly. 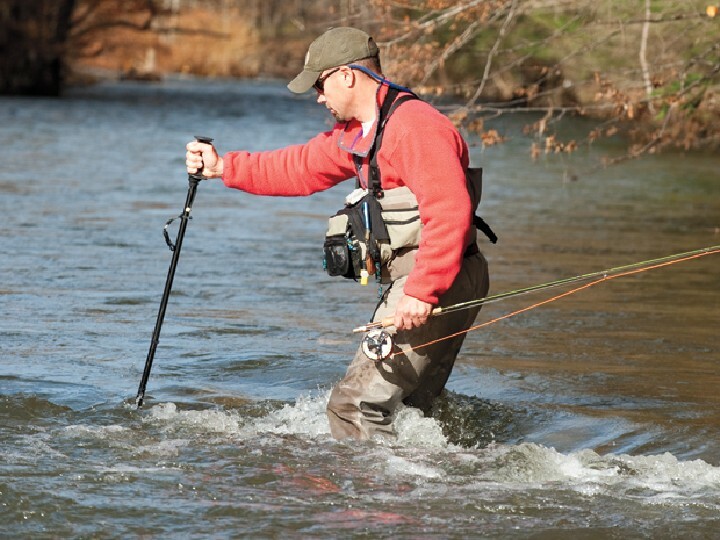 The best way to do this is by using a clinch knot (the same knot you used to tie on the first fly). At this point choose your second fly and tie it on. Clip the excess tippet (or tag end) and you’re done. This technique is almost as easy as the first one but takes a bit of consideration. The choices you make can be dictated by the size of the point fly you choose to use. Point flies in the 18-24 range can be difficult to get 2 pieces of tippet through the eye of the hook. Set up your rig with your point fly. Cut a piece of tippet off and run it through the eye of the hook on the point fly (which already has a tippet knot in it). Now tie a clinch knot to fasten the tippet to the eye of the hook. Be careful not to twist the first piece of tippet into the knot of the second tippet. Choose your second fly, attach to the second piece of tippet and start fishing. To explain this, let’s first talk about what a tag end is. With any knot you tie whether to the fly or attaching the tippet to the leader, there is always some material left over. This is what’s known as the “tag end.” If this is your preferred method then keep this in mind when attaching your point fly. You will need to make sure that you leave enough of a tag end (at least 8 inches) to attach your second fly to. Push your tippet through the eye of the hook and pull out at least 8 inches of material once through the eye. Tie a clinch knot being sure to leave the excess (8 inches) of tippet material throughout the process. Be sure not to clip off this tag end off. You can now choose your desired length. I like to leave at least 8 inches to attach my second fly to, plus it leaves enough excess material if you want to change flies. Clip the tag end on the second fly and fish. 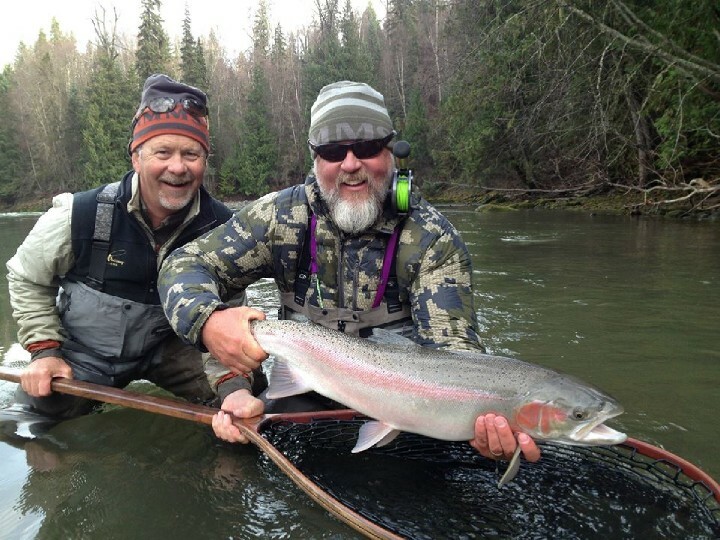 Tippet rings are gaining in popularity and for good reason. They are multi purposed and easy to use. Tie a tippet ring on the end of you leader with the knot of your choice. Then take an 8 inch piece of tippet and tie it on to the tippet ring. Then take a 24 inch piece of tippet and tie it on to the tippet ring as well. Be careful not to wrap it over the leader or first piece of tippet. When opting for flies, I prefer to tie a heavier nymph on the longer piece of tippet and a smaller lighter fly on the shorter tippet. Tie your flies on and you are ready. 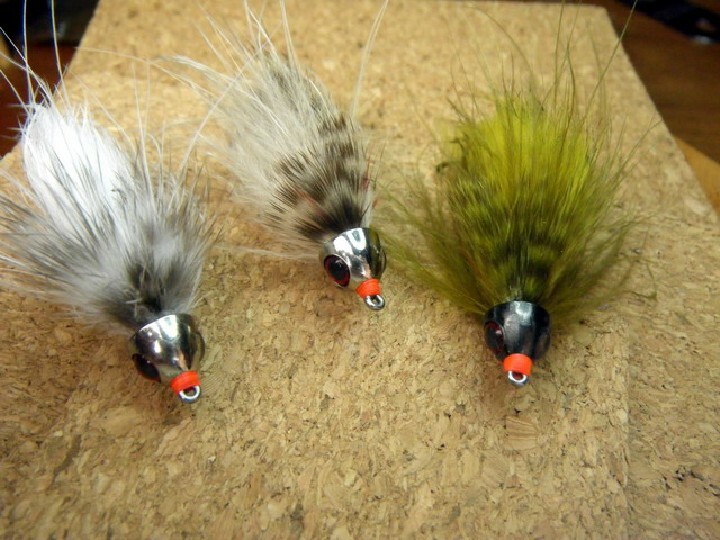 Not everyone will agree with using multiple flies, but there are some clear advantages. It is a great way to present multiple offerings to fish, cover different depths, explore new water and improve your hook up ratio. Just the same, there are disadvantages. Disadvantages include more opportunities for tangles, more time spent rigging and most important, they can become tangled in the fish, etc. Be careful and make sure you pinch the barbs on all of the hooks. While there are many ways to rig to fish with multiple flies, when it comes to speed and simplicity, I use the methods described above. Experiment and find which one works for you and have at it.